Bangkok, 4th September 2018 – The Ministry of the Interior says all preparations have been made for the thank you banquet being staged on Thursday (September 6) for the rescuers of the Moo Pa Academy youth football team, with up to 7,000 people expected to attend. 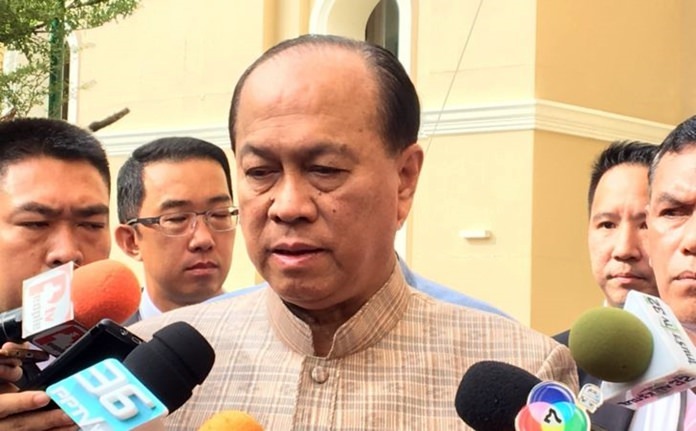 Minister of the Interior Gen Anupong Paojinda said today that all preparations have been made for the “United as One”, thank you event being held for all those involved in the rescue of the Moo Pa Academy youth football team, whose 13 members were trapped in Tham Luang Cave in Chiang Rai province for 17 days. The event is being held this week on September 6, from 6pm to 9pm at Dusit Palace, Bangkok. An estimated 7,000 people are set to attend the banquet and the Ministry of the Interior is working with other agencies to provide full service to all, including shuttle bus pick-up and drop-off services. The ministry itself is taking care of 2-3,000 people being transported from Chiang Rai to attend the event. Government officials have been authorized to use their official vehicles to participate in the thank you party.